A two-bedroom unit on the third floor of Cluny Park Residence was sold within an hour of release. It was one of the two units offered by developer Tuan Sing Holdings as “Star Buys” at exclusive promotional prices for readers and subscribers of The Edge Property and The Edge Singapore. The promotional event was held on March 19 and 20 and drew 80 interested parties to the sales gallery located at 25A Dempsey Road. The promotional event drew 80 interested parties to the sales gallery located at 25A Dempsey Road. Cluny Park Residence is a luxury condominium comprising just 52 units, each with private lift access. It is located at 99 Cluny Park Road, across the road from the Singapore Botanic Gardens, a Unesco World Heritage Site, and the Botanic Gardens MRT station, which is an interchange for the Circle Line and Downtown Line. The development was designed by renowned architect Chan Soo Khian of SCDA Architects and is expected to be completed before September this year. 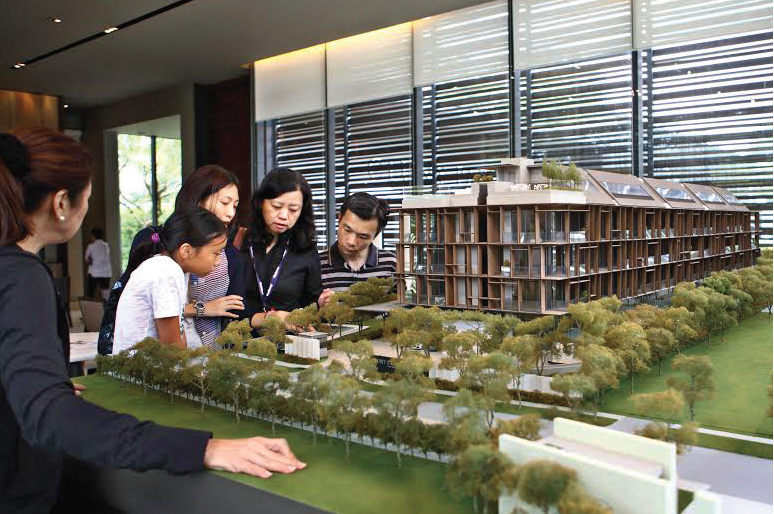 Popular schools in the vicinity include Nanyang Primary School and Hwa Chong Institution. “As the only condo in the vicinity, Cluny Park Residence offers a unique opportunity to live in an exclusive Good Class Bungalow area. We have received growing interest as the completion date draws near. In addition to the transacted two-bedroom unit, other prospective buyers have started negotiations over the weekend,” says Chong Chou Yuen, CFO of Tuan Sing. For those who missed out on the event, Tuan Sing is offering home interior vouchers worth $80,000 to the buyer of its three-bedroom penthouse unit in the project. This exclusive promotion runs until April 19.